I read a story sometime back about the great American depression of 1930's. The story described, how large number of small eateries or food joints, selling cheap food, had mushroomed on street corners all over New York, as the economy sank further and further. I do not know whether this story is factual or just fiction because, in the Indian city of Pune, where I live, exactly opposite appears to be happening. During last decade or so, the economy of this city is booming in an unprecedented fashion. People are having more and more of free cash for spending. Yet the streets are full of eateries and new eateries keep on coming up almost every other day. I really do not know the class of people, these places cater to, because the places always seem to be full of customers. A close watch on any of these streeet vendors however, makes one aware about the unhygenic way these foods are prepared and the sub standard quality of the food stuffs that go in the making of food in these joints. City of Pune never had any street food culture like Delhi. It is therefore all the more surprizing about this mushrooming growth of eateries and the quality of food is a real cause of worry. 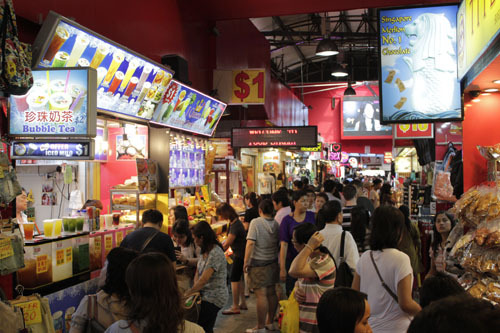 Singapore is known for its food courts and street food vendors. The hawker food in Singapore is something that is unique. Many dishes like Roti-prata and Chicken-rice are exclusive to Singapore. It is an affluent and extremely well managed city and has very strict laws about the quality of food and the way it is prepared in the food courts and by street vendors. 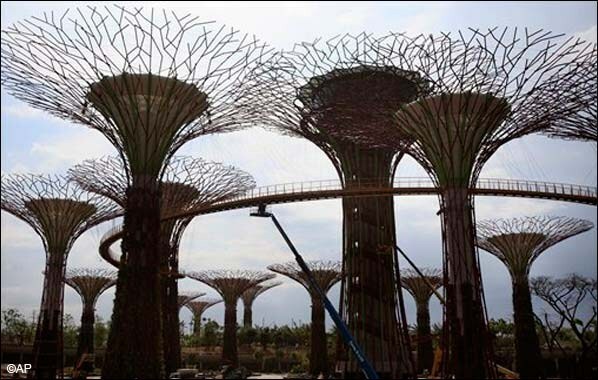 A problem that has been observed lately is the aging of Singapore population. Along with others, even the street hawkers are also naturally aging. Many of the hawkers now wish to close shop and retire. Because of the aging population, not many are interested in taking up this street food business. Besides, younger generation is not very willing to become hawkers since it is a hard life, and not all hawkers are successful. Besides aging hawkers, another problem that is discouraging owners of street food stalls is the heavy competition from air-conditioned food courts, dishing out tasteless food, cooked in centralized kitchens somewhere else. Singapore's Workforce Development Agency (WDA) wants to create new a facility that would build a pipeline of skilled hawkers in anticipation of the 10 new hawker centers to be built within the next decade. Their idea is to start a training center, where would be hawkers will get training under formal programme that the Government would be co-funding. WDA would subsidize the cost of setting up the school and course fees, and also help market the program to Singaporeans. 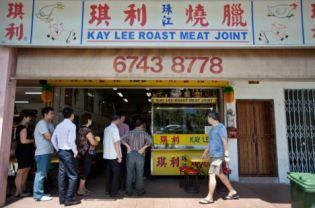 They have called for bids to set up new hawker training center The selected bidder would have to set up a training center and is expected to set aside places for new and local entrants to the trade and help its graduates find and keep jobs within the food industry. One of the bidders, Project Dignity says that they would set up a demonstration kitchen to simulate a hawker stall, which would make students aware of the requirements of National Environmental Agency's guidelines for A grade hawker stalls. Many people however remain unconvinced about success of such a training programme. They feel that the successful street hawkers have their brand name recipes, which they would never divulge to anyone. It is part of their business goodwill. A person trained may know the law but running a successful hawker stall requires individual enterprise. The overall business scene is now biased against the hawker stalls and new entrants nay not succeed. However such kind of training programme would highlight the standards of cleanliness and health aspects and programme graduates would certainly be much better hawkers without doubt. In my home city of Pune, standards of cleanliness and health standards are perhaps much lower that the lowest acceptable. Eating at street vendor stalls is an open invitation to water borne diseases. Such a kind of hawker training programme started here, could go a long way in improving public health.